I love author visits! As an author and educator, there are few things more rewarding than seeing a child’s face light up with resonance—especially in response to something you have created. I love visiting schools, libraries, and organizations, and welcome the opportunity to create a presentation pertinent to your subject matter or theme. Following are descriptions of three presentations currently offered. 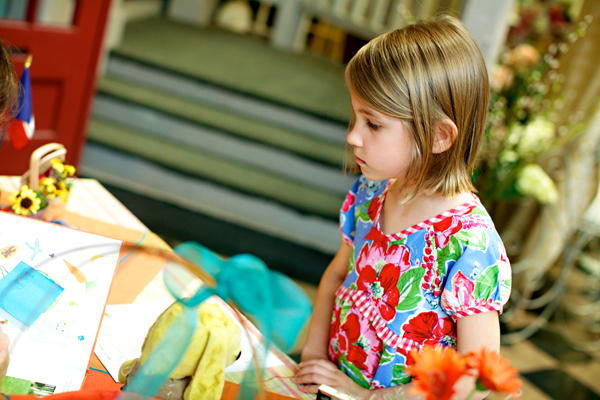 Additional camps & camps & programs, French language classes, and tutoring are also available. Please note: All presentations are adaptable for Pre-K through high school, and can be conducted in English and/or in French. Each will reference examples from the author’s bilingual book/CD to stimulate creative thinking and facilitate learning. Optional workshops can be tailored to your organization’s time and budget allotments. Please contact me for more information! Children will get to see an ancient manuscript and materials that were used to create paper, ink, and Illuminated Manuscripts. We may even create a treasure of our own! Can a bunny learn to count? He was a long way from home . . . and he was very hungry! 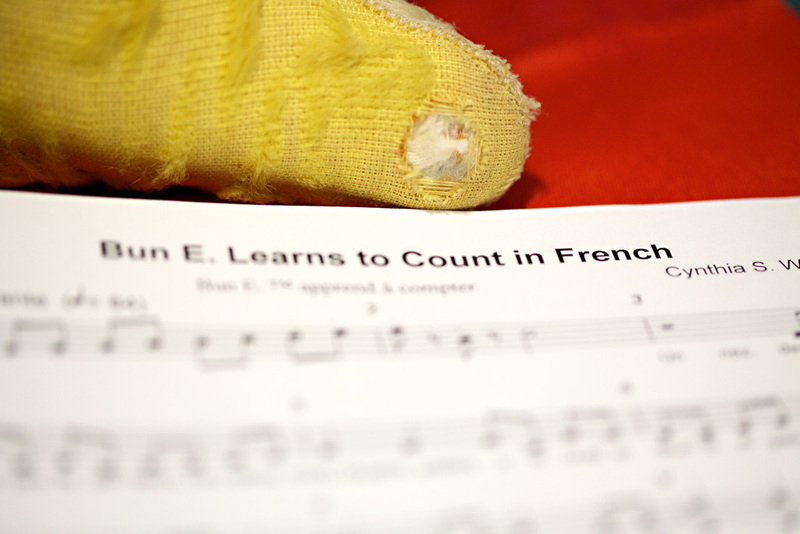 Beginning with a bilingual, theatre-style presentation of Bun E. Learns to Count in French, children will explore the relationships between sounds, shapes, color, and concepts, and how they combine to convey meaning. Together, we will talk about word choices, color associations, music, rhythm, illustrations, similarities between the two languages, and other tools used as mnemonic devices. But it doesn’t end there! In this hand-on, extremely interactive session, children will speak, sing, and interact with Bun E. Boniface® en français ! From Concept to Cover: A long and winding road! Follow the path that Bun E. Boniface® traveled—from initial idea to the book store—encompassing the creative processes of first draft, research, revision, sketches, book dummy, art, calligraphy, and composing a song, to the recording studio, editor, printer & bindery–the myriad of people, processes, and professions involved in bringing a traditional book and CD to market. Cynthia will reveal early forms of her work, discuss the artistic choices that were made, and share insights into collaborating with a 10-year-old artist, and with people on two continents. Discount for multiple day bookings. Neighboring schools or organizations may partner to split the cost of a Full Day Author Visit, allowing each to have a maximum of 2 presentations. Schools and libraries may order discounted books from the publisher in advance of the Author Visit. 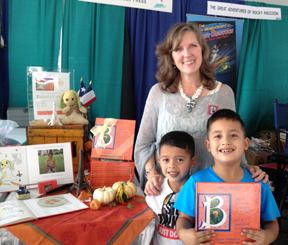 Cynthia Wildridge visited the pre-school students at The Lamplighter School in Dallas. 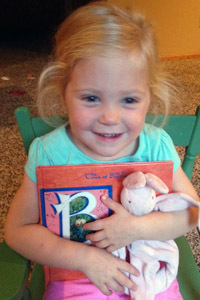 She presented her book BUN E. LEARNS TO COUNT IN FRENCH. 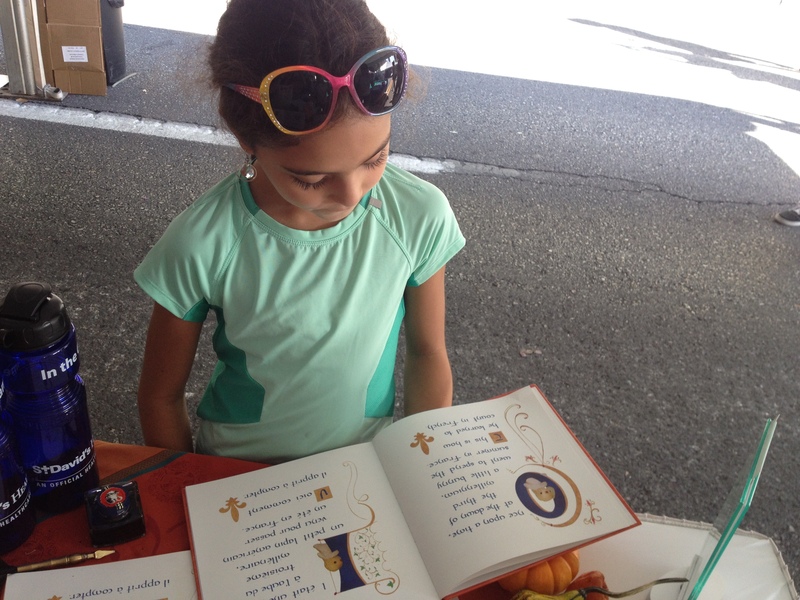 The students were fascinated with her props, the illustrations, and her sweet voice as she read this bilingual book. Cynthia discussed the background of the story to inform students how Bun E. made the trip to France. She held the attention of each student, asking questions at the end of her presentation. I would highly recommend Cynthia Wildridge for an author visit. I especially loved that each child signed the card.